I managed to get this quilt made quite quickly given all the work I have on at the moment. It's heading to my cousin who is recovering from surgery due to a horrible cancer. Now she has recovered from the initial surgery, the chemo has begun and I thought a quilt would be something she could curl up under and give some comfort and give her a hug from me even though we live so far apart. 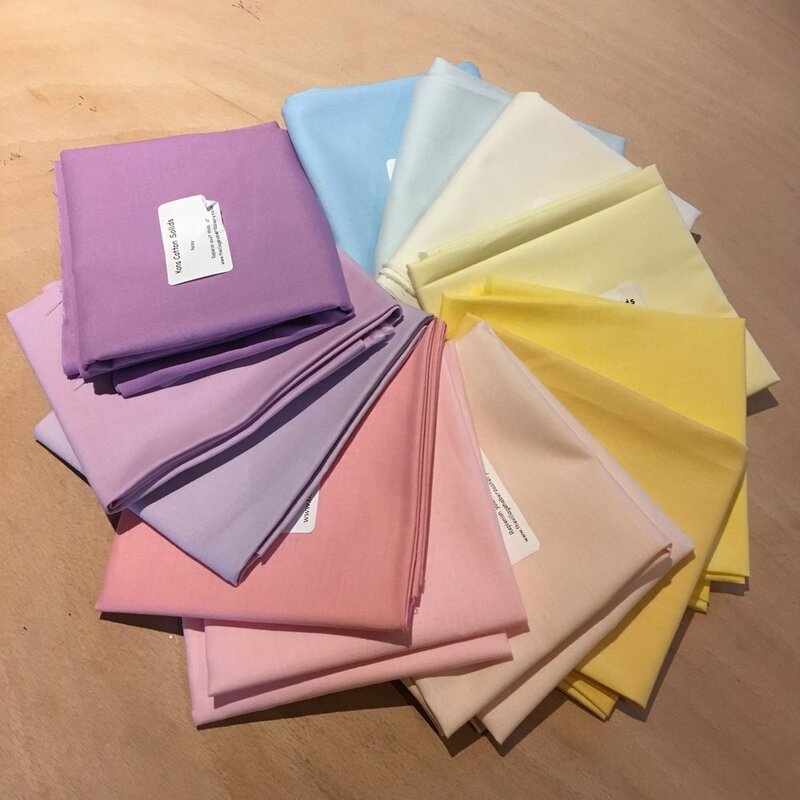 The main fabrics I bought from Janet Claire at The Festival of Quilts, blues are A's favorite colours to wear and Janet's fabrics are so lovely - so from a 10' layer cake of Aubade and a solid dark blue from Doughty's also bought at FoQ. After a little indecision, I chopped into each square and went from there. 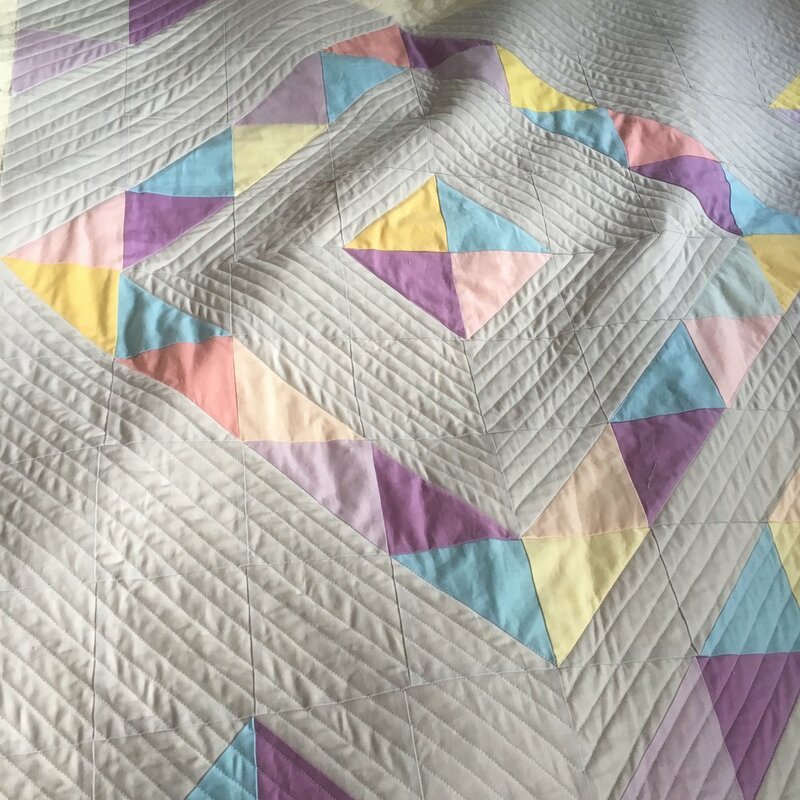 Once the quilt top was made I added a border to 2 sides, just to make it a little larger and then found a great cross hatch fabric at Fabrics Galore for the backing. For the quilting I decided to follow one of the cross lines and ended up using washi tape to have a line to follow. Five lines of stitching, to mirror the five rows or squares width. Once I had finished I hand embroiderd a qulit lable and now just need to post it off.